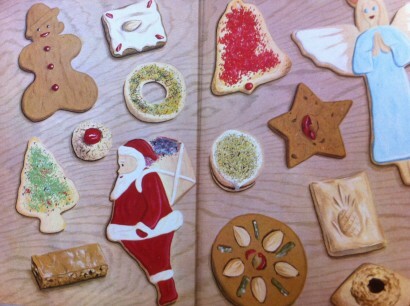 Every year I pull out my Nana’s Christmas cookie cookbook, aptly named The Christmas Cookie Book. 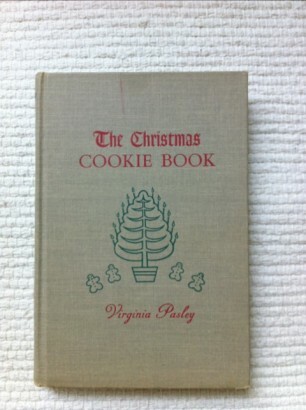 Written by Virginia Pasley and originally published in 1949, it is simple, straightforward cookbook with a lovely collage of frosted cookies inside the front and back covers. 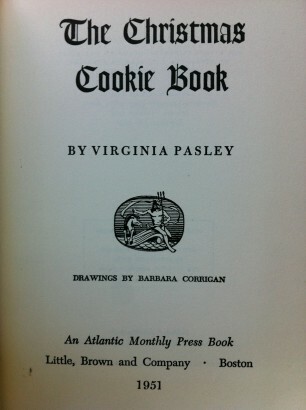 I have made several recipes from this book and always wish that I had done some baking from it with my grandmother before she died as she was a wonderful cook. I know I would have learned a thing or two from working side by side with her in the kitchen. I am not a baker per se, so a little bit of family wisdom would have gone a long way to improve my success rate.